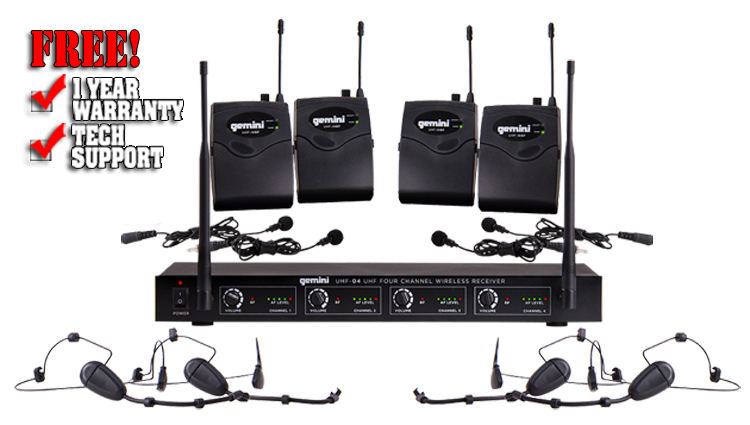 A high-quality wireless voice reproduction system with unbeatable clarity and reliability at a surprisingly low price. The lower range of the bandwidth starts at 500MHz and the upper bandwidth stretches up to 950MHz, offering you multiple frequencies to choose from. The robust UHF receiver has a 150-foot dynamic operating range, making it ideal for bars, clubs, auditoriums and places of worship. The ultra-fast microcomputer controlled PLL oscillation and advanced compression circuits reject unwanted noise, and the one-click solution for automatic transmitter via the SYNC button offers crystal-clear reception. Connection with external devices has been made easier with the mixed balanced XLR output and mixed 1/4-inch output jacks. Easily control squelch for each channel through the squelch control rotary knobs on the back of the unit.